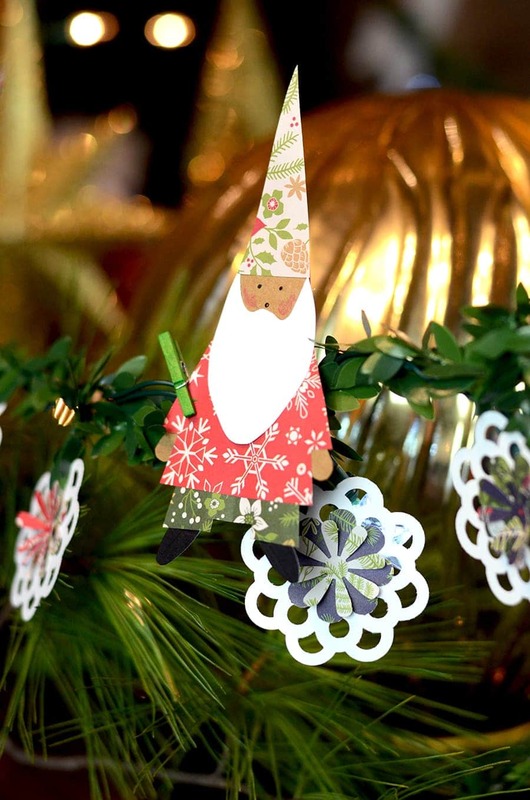 Scissors, paper and glue add up to lots of cuteness with this Christmas Gnome Craft! It’s a super easy project that can decorate your house and keep your kids entertained while on Christmas winter break! I love a simple craft with big impact. 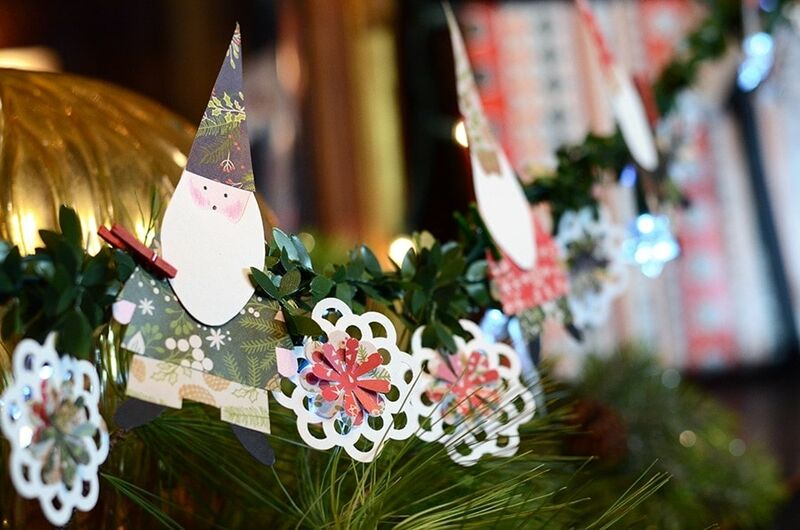 Paper crafting is a bit like quilting…you put together a handful of coordinating papers and suddenly there’s magic! That’s how it is with this Christmas Gnome Craft. 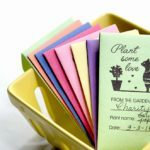 And its especially easy if you have one of those scrapbooking paper stacks around. Choose your paper. 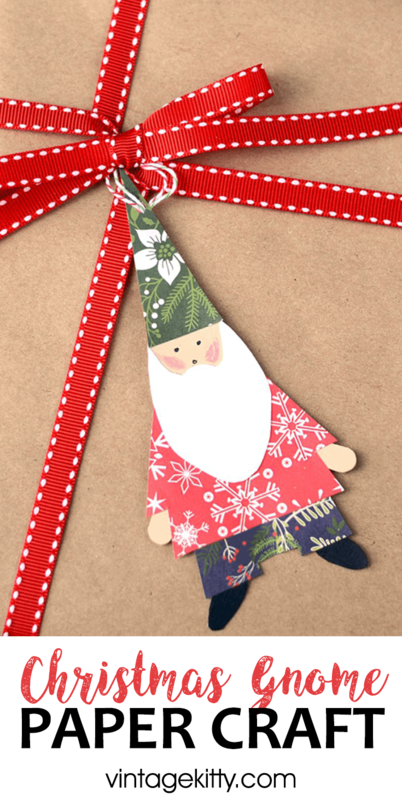 You’ll need 4-6 sheets of colorful paper for the gnomes’ clothing, preferably a small patterned paper. (I used this Recollections paper). Print one sheet for each paper pattern so you can mix and match outfits. Print and cut out pieces. Glue or tape them together (use the template guide for placement and order). 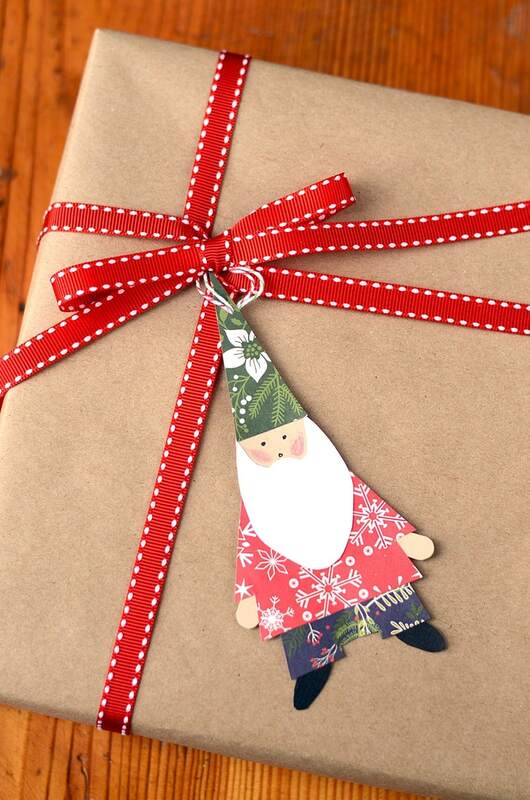 Use your little gnomes to decorate! If you can use scissors, you can make cute napkins to dress up your table! 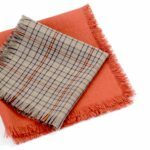 All you need is fabric that will easily unravel and some simple tools. Where can we get the pattern for the snowflakes? They are really cute! Would make a wonderful garland? Hi Kathy. It’s a Fiskars paper punch. You can get it on Amazon It would make nice garland by itself…but I was considering getting heart paper to make valentines gnomes. Would be so cute! Thanks so much! I like the heart paper idea too!